Moving to a new area and home can be exciting time for military families. 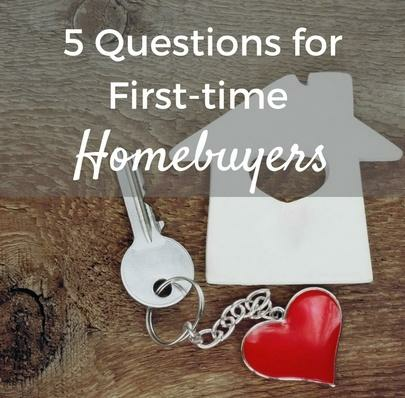 If you're a new homebuyer, there are a few steps that you need to take before unpacking those boxes to help ensure your new castle is as secure as possible. Here are six ways to help protect your family and important items after moving into a new home. The absolute first step to take to secure your new home is to change the locks. You can never be sure who has a key or where random copies have been left in the past. By having the locks changed immediately, you know exactly where all the copies are located and have control over who you give one to. This can be done with tools and supplies from your local hardware store, or a professional locksmith can do it for you. If you have an automatic garage opener, you might also consider having the remote reprogrammed to ensure yours is the only one capable of opening the door. Protecting your new home involves more than just keeping intruders away. One of the first steps to take when you move in is to check any smoke or carbon monoxide detectors. Try the test button to ensure the alarms themselves are working and then replace all the batteries. By doing this at once, you can create a baseline for when they were last changed. Write down this information in a safe place and make a note on your calendar to check them again in 60 days. Another way to protect your home is by having a monitored security system installed. This type of system keeps a watchful eye over your home while you are away, including calling the proper authorities if an alarm is triggered, there's a fire, or some other emergency. Most of today's companies offer reasonable monthly rates that make this level of safety budget-friendly. Because military families transfer locations frequently, it’s important to get acquainted with the new neighbors every time a move is required. They can serve as great support and help you know that your family is safe, even when your job requires you to be away from your family for lengthy periods. They say that good fences make good neighbors. Yet the fact of the matter is that nosy neighbors actually make good neighbors. Why? These are the people who are most likely to notice if something is amiss. For example: They know you are gone for extended periods, and your spouse comes home from work at 7 p.m. However, if they see an unusual vehicle at your home earlier in the day, they could be more apt to call the police or at least alert you to the situation. Simply put, introduce yourself early and help form a positive relationship from the start. Intruders like breaking into homes and unoccupied vehicles under the cover of darkness. One easy way to keep this from happening is by illuminating the exterior of your home. Keep a porch light on or even install a timer that turns it on at a set time every evening. You can even opt for a motion-sensor variety that only lights up when it detects movement. Either way, it is important to make sure the entire exterior of your new home is free from darkness and well lit. Purchasing a safe for valuables is also a wise idea. This can help protect firearms, jewelry, vital paperwork, and other items in the event of a fire, theft, or another catastrophic incident. Look for a quality residential safe with durable construction and an easily manageable size — this way, you can easily take it with you, wherever/whenever you’re required to move next. Moving frequently can understandably be challenging for military families. But by keeping these six tips in mind, you can rest assured that your family and valuables remain safe in your new home. About the Author: Wes Wernette is Head of Marketing at FireKing Security Group in New Albany, Indiana. The company focuses on broad-based security and asset protection in residential and commercial markets with products like safes, fireproof file cabinets, and more.